TV news bits for CW shows like Arrow, Black Lightning, D.C.'s Legends of Tomorrow, The Flash, Supergirl, Supernatural, Magnum, P.I., Crikey! It's The Irwins, Ellen's Game of Games, So You Think You Can Dance, Suits, Star Trek Discovery, Channel Zero and more. Arrow, Black Lightning, D.C.'s Legends of Tomorrow, Dynasty, The Flash, Riverdale, Supergirl, Supernatural*, Charmed and Legacies. While The CW is eyeballing a spinoff of Jane the Virgin. *But sadly, next season will be Supernatural's last one. Steve Carell returns to (streaming) TV to Star in the Netflix comedy called Space Force. That was fast: CBS is eyeballing an idea for a spin-off from their new series, FBI. In it, it will feature a 'Most Wanted' division doing what they do. The Stand from Stephen King got a 10 ep order from CBS All Access. The Code, another new series premieres April 9. CBS announced renewals for The Neighborhood, Magnum, P.I. and FBI. Coop & Cami Ask the World was renewed by Disney Channel for a second season. Crikey! It's The Irwins got a second season from Animal Planet. Ellen's Game of Games was renewed by NBC for a third season. F is For Family was renewed by Netflix for season four. Fuller House got a fifth season nod from Netflix. It will be its last season. God Friended Me was renewed by CBS for a second season. Grace and Frankie was renewed for a sixth season by Netflix. The Kaminsky Method was renewed by Netflix for a second season. Pawn Stars was renewed by A+E for Off-net syndication. Shameless got renewed by Showtime for a tenth season. So You Think You Can Dance was renewed by Fox for a 16th season. 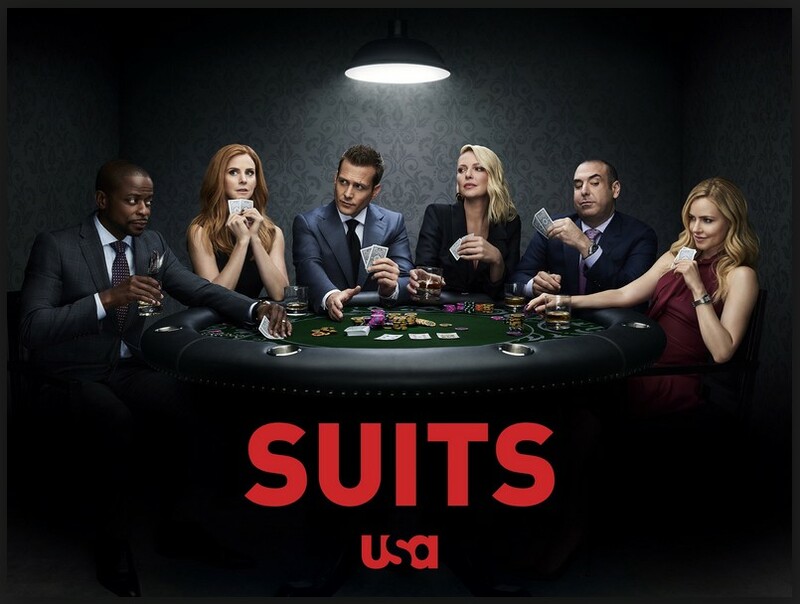 Suits was renewed for a ninth and final season by USA. The Masked Singer got a second season nod from Fox. Apparently there are enough of you signed up and watching Star Trek Discovery, to the point that CBS is working on a spin-off from the series, starring Michelle Yeoh, who plays Federation Captain Philippa Georgiou on the series. And don't forget the Patrick Stewart-led Picard series coming up. HGTV is looking to revive Extreme Makeover: Home Edition, looking at 10 episodes for the 2020 TV season. Here's something you don't see every day: NBCU is cutting back on commercials! After NBCUniversal cut commercial inventory in primetime programming by 10 percent for the current season, they're now looking to reduce their ads or video ad load and ad clutter by more than 20 percent in primetime. That is confusing or unheard of, but hey, you have to give them kudos and viewership consideration! Trial and Error was cancelled by NBC. Channel Zero was cancelled by Syfy, closing it out after four seasons.